Little, Brown and Company, 9780316158794, 464pp. What does it mean to suffer? What enables some people to emerge from tragedy while others are spiritually crushed by it? Why do so many Americans think of suffering as something that happens to other people-who usually deserve it? These are some of the questions at the heart of this powerful book. Combining reportage, personal narrative, and moral philosophy, Peter Trachtenberg tells the stories of grass-roots genocide tribunals in Rwanda and tsunami survivors in Sri Lanka, an innocent man on death row, and a family bereaved on 9/11. He examines texts from the Book of Job to the Bodhicharyavatara and the writings of Simone Weil. 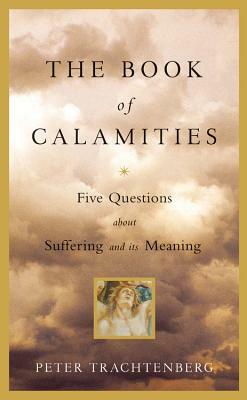 THE BOOK OF CALAMITIES is a provocative and sweeping look at one of the biggest paradoxes of the human condition--and the surprising strength and resilience of those who are forced to confront it. Peter Trachtenberg's essays and short stories have appeared in The New Yorker, Harper's, TriQuarterly, Bomb, the Jewish Forward, and Chicago, and have been broadcast on NPR's "All Things Considered." He received the Nelson Algren Award for Short Fiction and the Jerome Lowell DeJur Award for Fiction from the City College of New York. He has taught at Brown University, The New School, Johns Hopkins, NYU, the School of Visual Arts, and City College of New York. He lives in Rhinebeck, New York with his wife, Mary Gaitskill.